This 36-hectare park integrated into the natural environment of the Scarborough Bluffs escarpment rising dramatically from the shoreline of Lake Ontario is a significant cultural artifact of the development of Toronto. 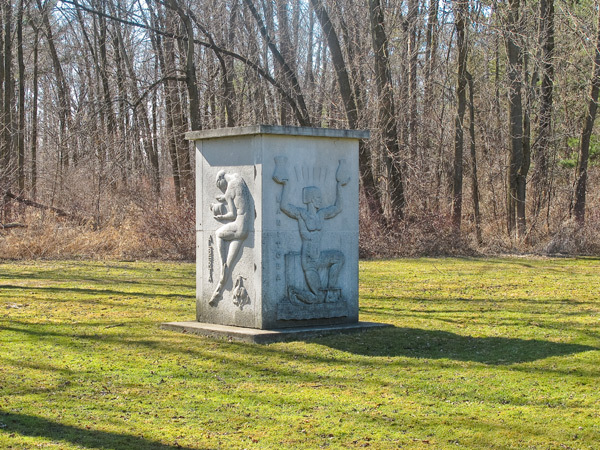 Originally a Crown Grant to William Osterhout in 1805, the property passed through many owners to Rosa and Spencer Clark, who in 1932 established an artist’s colony—the ‘Guild of All Arts’—and built the Guild Inn. 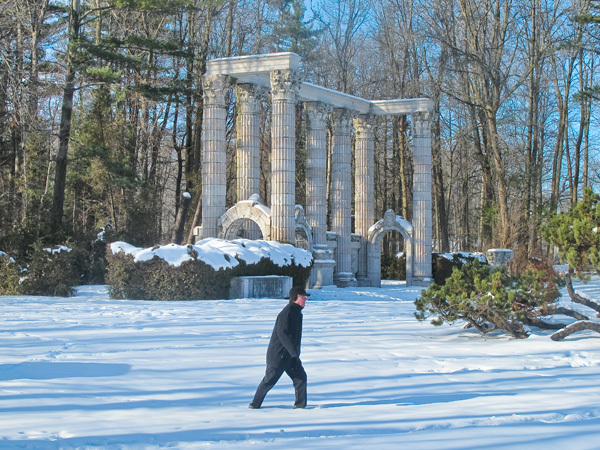 In the 1950s, the Clarks sold a large portion of the property, which became the Guildwood Village subdivision, and in 1978, the Toronto and Regional Conservation Authority purchased the remainder for public parkland. The layout of the grounds (although subsequently altered) derives from the Colonel Harold Bickford Estate constructed on the bluff in 1914, and was typical of such early-twentieth-century waterfront properties: A picturesque, circuitous entry provided glimpses of the main residence, and opened to a breathtaking lake view. 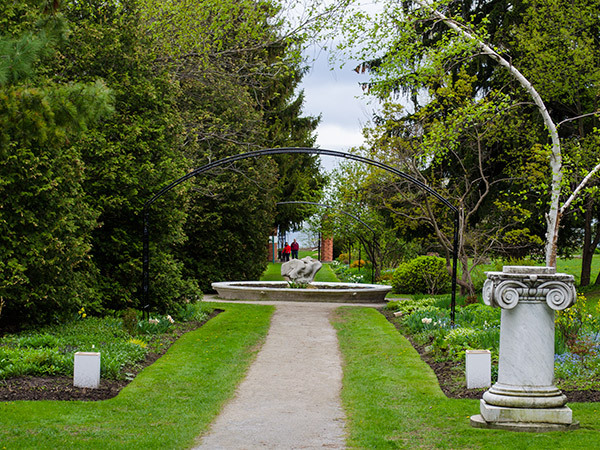 Manicured lawns lined the approach to the forecourt of the inn, punctuated with sculpture. 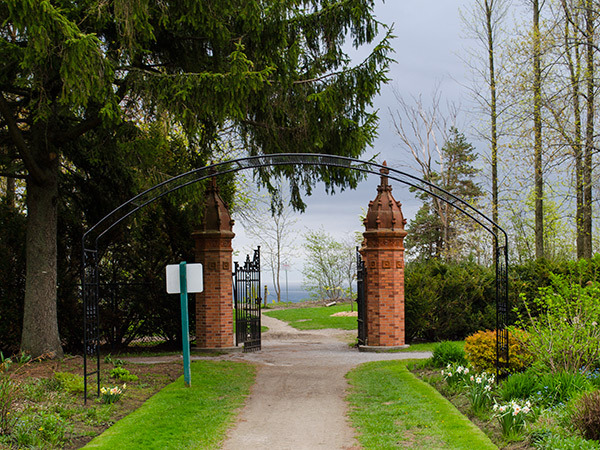 From the southern terrace, an axial promenade lined with planting beds and mature trees and intermittently framed by trellises, extends to the bluffs. 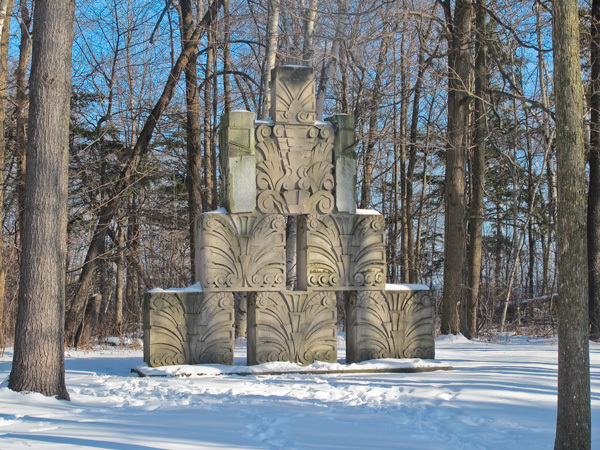 Here, cross-axial views of ornate architectural ensembles and facades, which the Clarks salvaged and re-erected throughout the property, recollect Toronto’s architectural history. 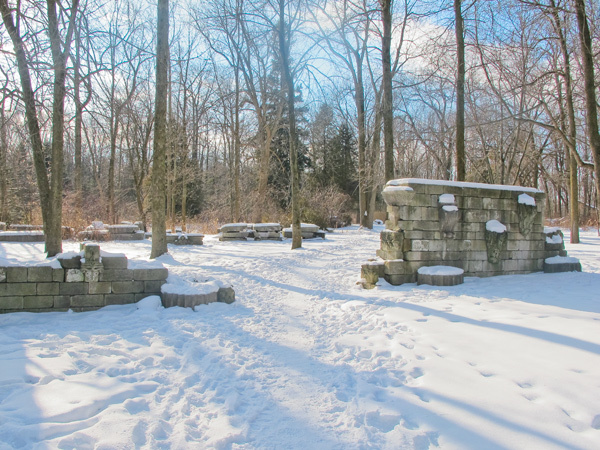 Beyond the formal grounds and accessing the edge of the escarpment, meandering trails circulate throughout wetlands and woodlands, which include mature conifer and deciduous trees as well as four heritage buildings. 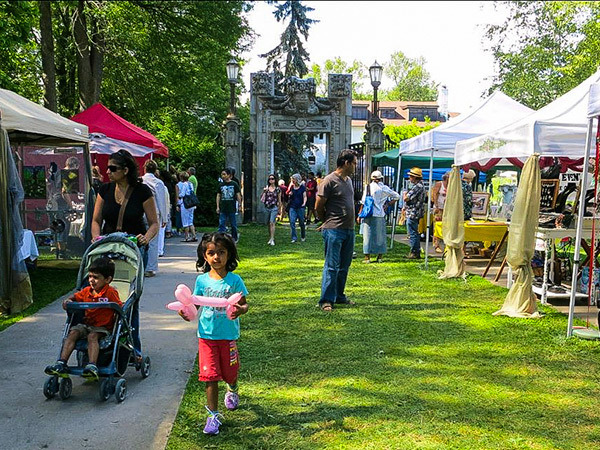 In 2014, the Planning Partnership and ERA Architects worked with the City to develop a comprehensive management plan for Guild Park and Gardens.